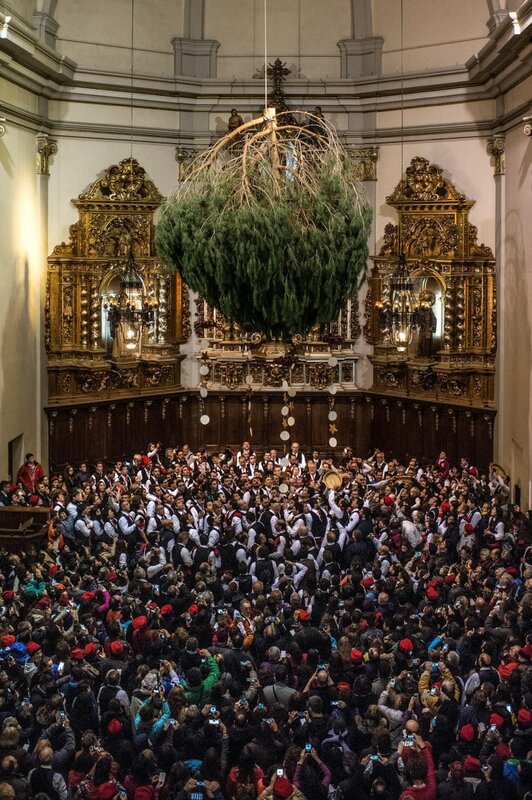 Each year, a Spanish village treks into the forest to select a pine tree to hang upside-down inside a church. 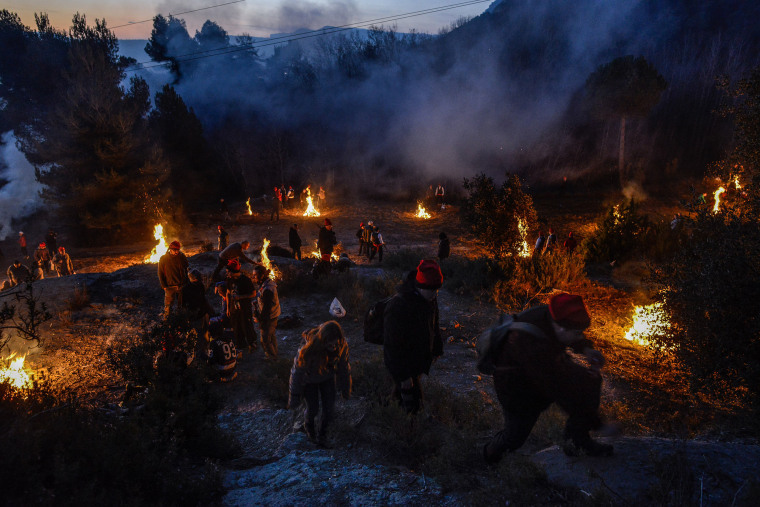 'Galejadors' light bonfires in the forest during 'La Festa del Pi' (The Festival of the Pine) in the village of Centelles on Dec. 30, 2015 in Barcelona, Spain. 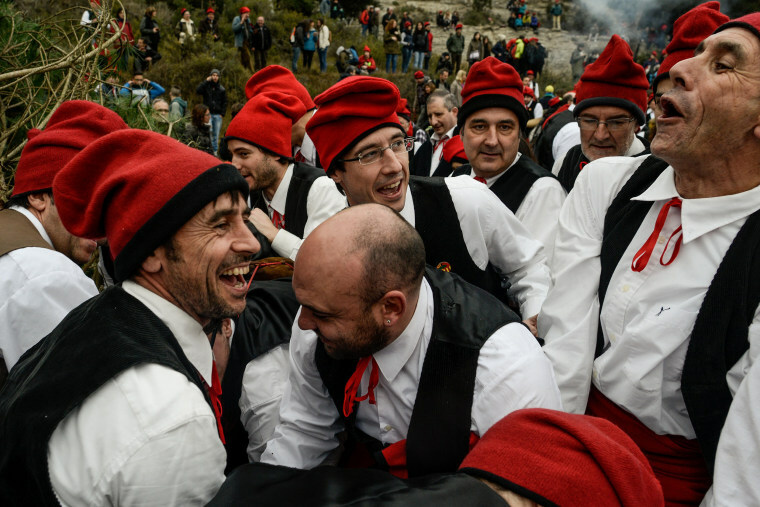 Early in the morning men and women born in Centelles, who are named 'Galejadors' wear their traditional costume as they walk into the forest to chop down a pine tree, load it on an ox cart and take it to the church in the village. 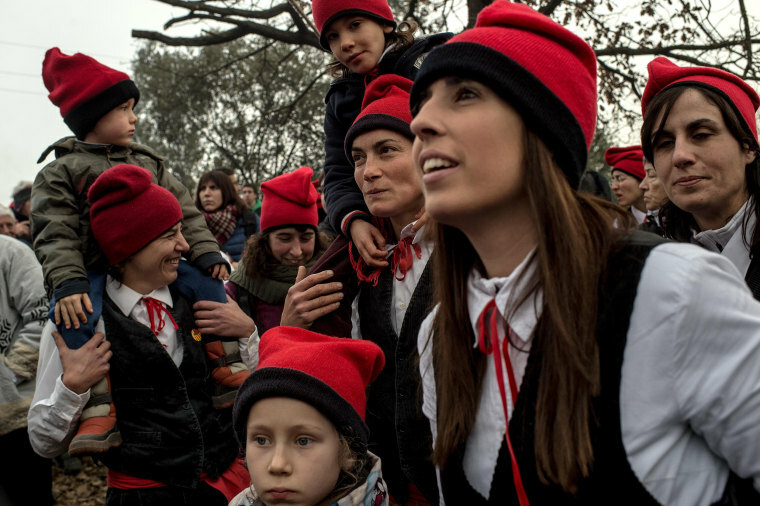 People from Centelles gather around the selected pine. 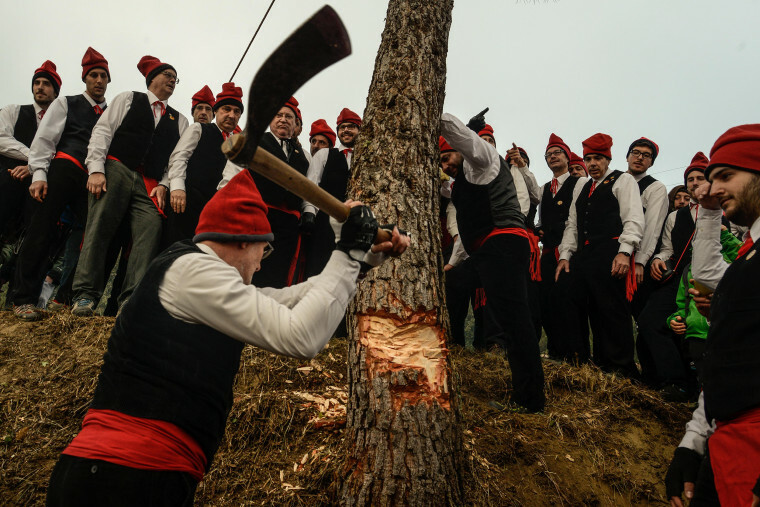 'Galejadors' chop the chosen pine tree down early in the morning. 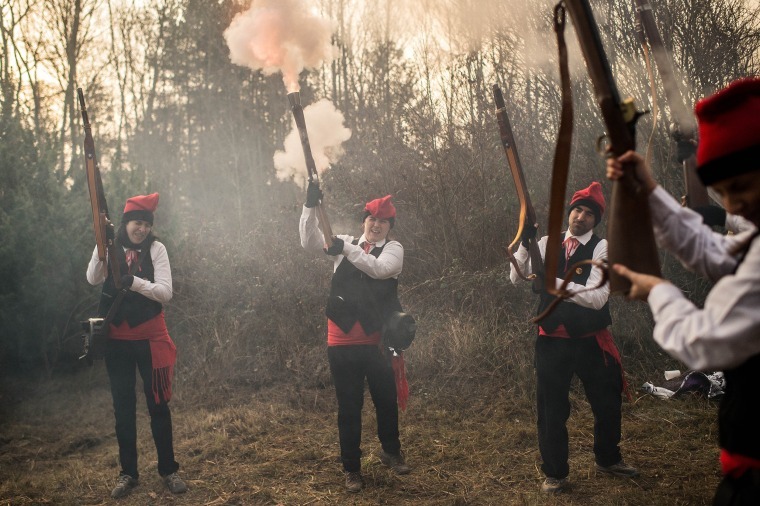 'Galejadors' fire their muskets during the festival. 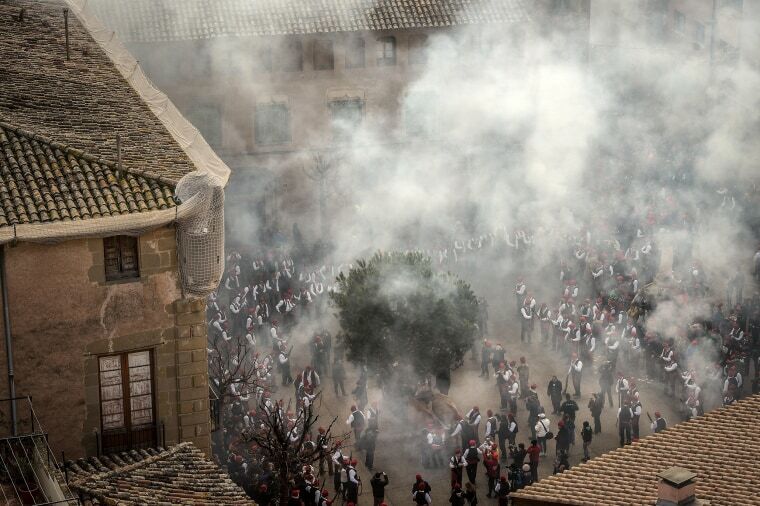 Smoke from muskets surrounds the pine tree as the Galejadors walk through the streets of Centelles. 'Galejadors' surround the selected pine tree. 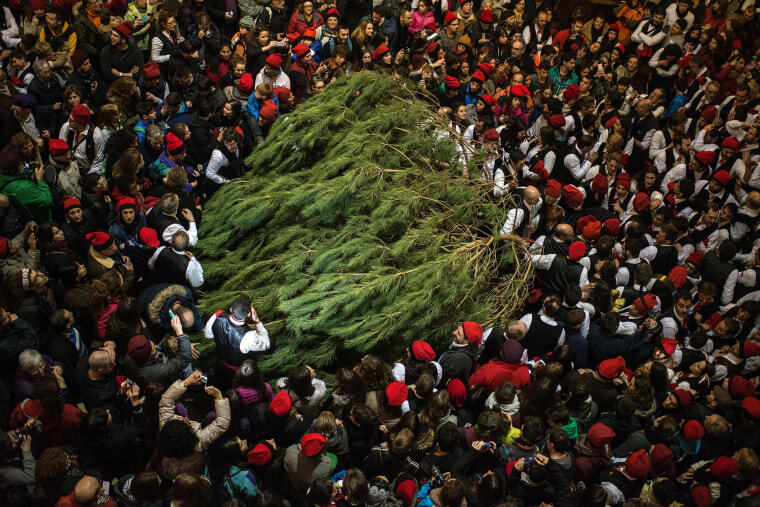 'Galejadors' carry the selected pine inside the church during the festival. 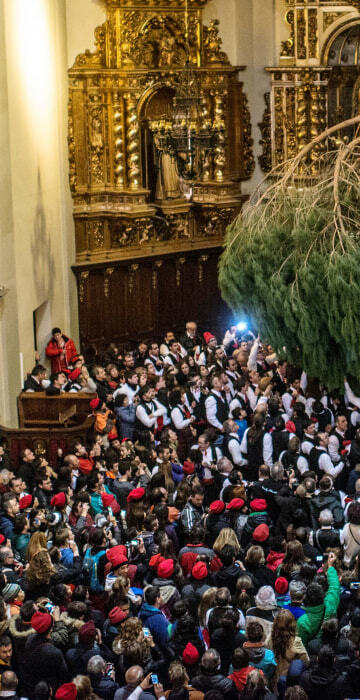 The pine tree is decorated with five bouquets of apples and wafers and hung inside a church until January 6. People dance beneath the pine tree hanging inside the church. 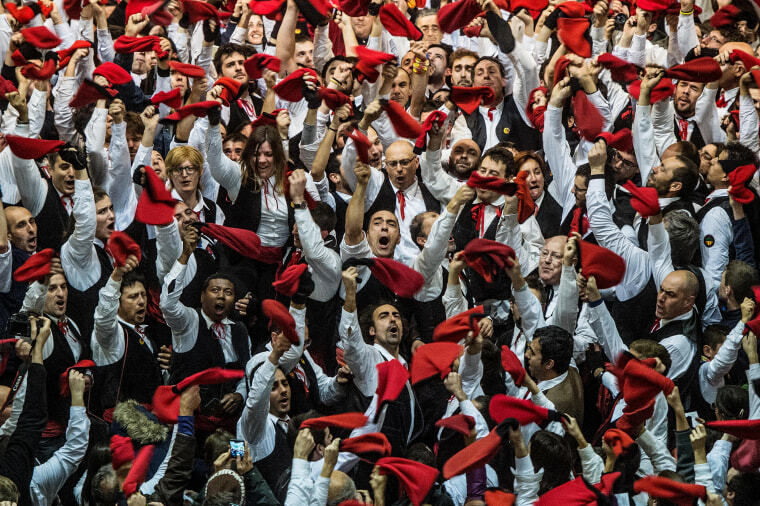 'Galejadors' celebrate inside the church, underneath the pine tree. 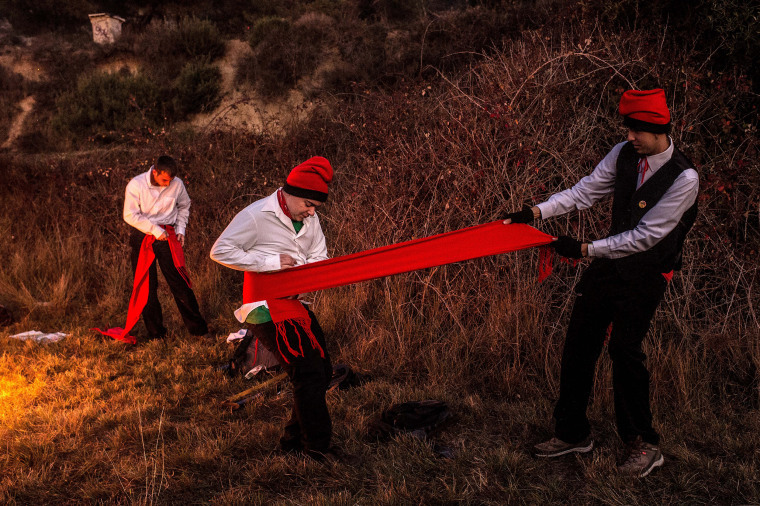 The tradition has been documented since 1751 and it is believed its origins are related to the trees and the pagan worship of fertilization related to the winter solstice.